Getting yourself ready for winter is pretty straight forward. Coat? Check! Gloves? Check! Umbrella? You’re an Oregonian, you don’t need one. 😉 But preparing your home for a long, cold season is another story. 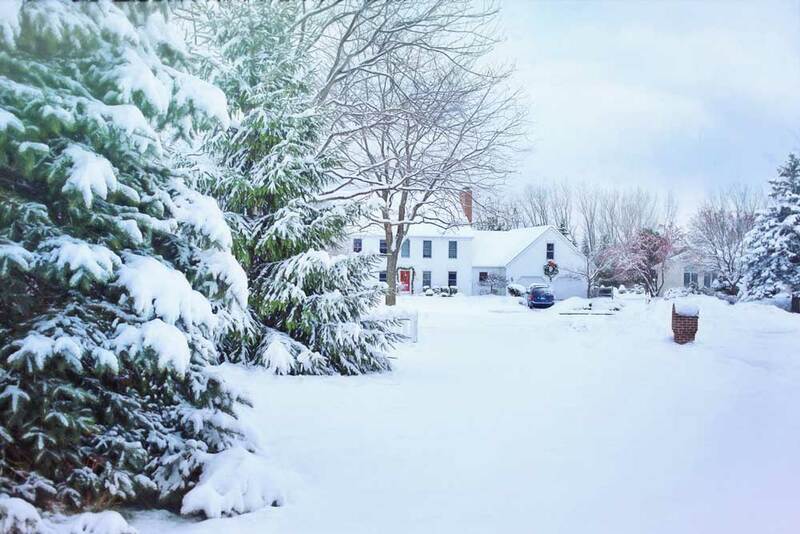 Here are 7 steps to prepare your home for the upcoming winter months. If you find anything you have questions about, feel free to give our office a call! With more wood fires and heater use, this is a great time to make sure your smoke and carbon monoxide detectors are working. Test and replace the batteries if needed. Check and replace your furnace filters if needed. You can check with your furnace manufacturer to find out exactly what maintenance your system requires. However, a good rule of thumb is to check and clean the filters every 90 days. Protect pipes from freezing temperatures. Remove any attached hoses and store them away for the winter to prevent cracks, preserve their shape, and prolong their life. Shut off any exterior faucets and drain water from outdoor pipes, valves, and sprinkler heads to protect against a pipe burst. Insulate any other exposed, outdoor pipes and make sure your family knows where your water shut-off valve is so anyone can cut off water quickly, if needed. Make sure water is draining away from your home. On the next rainy day, take a walk around your home to ensure water is draining away from your home. If you notice water near your foundation, use sandbags to protect your home and plan to do some excavating on the next dry day or in the spring. Make sure your gutters and downspouts are draining properly and not overflowing. While you’re checking your home for proper water drainage, take a look up and check the gutters as well. On the next dry day, clean gutters of any debris and make sure sure downspouts extend away from the house to avoid water build up around the foundation. Ensure your gutters and downspouts are properly fastened and not loose or sagging. Check for missing, damages, or warped shingles and replace before you get stuck with a leak. Also check for deteriorated flashing at the chimney, walls, skylights, and around vent pipes. Seal joints where water could penetrate using roofing cement and a caulking gun. Close up your foundation vents. Keep the heat where you want it, inside your home. Check the perimeter of your home for vegetation. Do a quick walk around of your home and make sure no vegetation is touching your siding. This is the leading cause of exterior wood rot. Trim any overgrown branches to prevent iced-over or wind-swept branches from causing property damage. Also clean up any leaves, dirt, and pine needles from the perimeter of your home, as well as fences and decks to prevent mold and mildew growth.